Water Drinking water, wells, ponds, saving, purifying, etc. 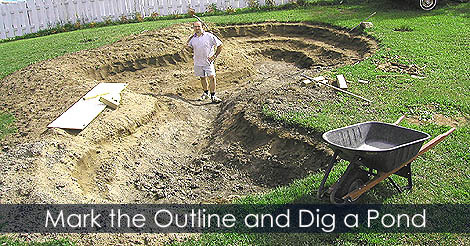 My step by step instructions about my 20 x 40 backyard pond. Easy to do with the procedures and materials. My husband loves fish and we've been wanting a garden pond for a long time now. Our house situation is currently unsettled, but I do expect we'll set up one of those once we're a little more stable. Thanks for sharing these useful instructions. All times are GMT -2. The time now is 07:43 PM.